Southern Gutter Service has fully trained and insured technicians to install both new and replacement seamless gutter systems on almost any home or building. We take pride in our attention to detail and quality service for our customers in Northeast Georgia and Upstate South Carolina. 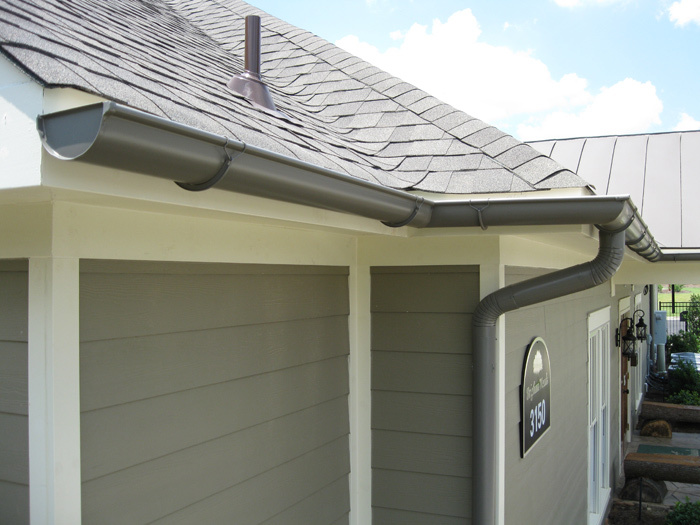 All of our seamless k-style gutter systems are properly sloped to drain correctly and feature details like custom miters and end caps as well as attention to structural details like hanger options and correct drip-edge installation. Once installed your new rain gutters will last for many years to come. We work with all half-round and k-style gutters as well as many custom options that are available. Our seamless gutters are made from heavy duty aluminum, copper or metal and come in almost endless color options. We offer both traditional downspouts or decorative rain chains and other options. Give us a call for a free no-obligation estimate for a new rain gutter system or replacement rain gutters on your home.